The family request sympathy contributions to Habitat for Humanity and the Central City First United Methodist Church. CENTRAL CITY - Lawrence W. Bender of Central City, KY passed away May 23, 2015 at Baptist Health Center, Madisonville. He was born December 15, 1944 in Denver, Colorado to Lawrence M. Bender and Betty Jane Bender Gunn. He graduated from Tell City(Indiana) High School, attended Indiana State University, and received a BS degree from Brescia University and a MA degree from Western Kentucky University. Mr. Bender worked for Muhlenberg County Board of Education as a teacher at Bremen High School and Muhlenberg North High School and as the District Technology Coordinator. He served a term as President of the Muhlenberg County Education Association. 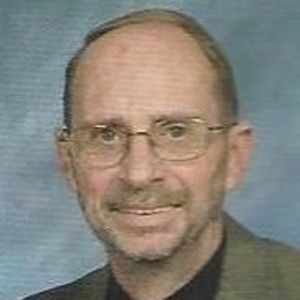 Larry was a member of Central City First United Methodist Church where he was a founding and current member of the Praise Team. He served on the board of Habitat for Humanity and was a member of the Lion's Club. He was an avid golfer and member of the Central City Country Club. He was preceded in death by his parents. His survivors include his wife of 47 years, Myra Hardesty Bender; a daughter, Elizabeth (Bill) Lehner of Leesburg, VA; a son Lawrence "Hal" (Angie) Bender of Elizabethtown, KY and three granddaughters Katherine, Sarah and Allison Lehner of Leesburg, VA. He is also survived by his brother Gene P. (Linda) Bender of Hernando, FL., brother-in-law, Jerry Hardesty of Owensboro, KY sisters-in-law, BJ (Michael) Hardesty-Johnson of Bloomington, IN; and Linda (Bill) Kerchusky of Chapin, SC, nieces Cynda (Curtis) Wood of Owensboro, KY; Julie Anna Kerchusky of Chapin, SC; Brittany (Doug) Renwick of Leesburg, FL, and one nephew Brett (Monica) Bender of Mooresville, NC. Visitation will be Tuesday May 26, 2015, 5 to 8 p.m. and 12 to 2 p.m. Wednesday May 27, 2015 at Central City First United Methodist Church. Dr. Kevin Brown will lead the service at 2 p.m. at the church. 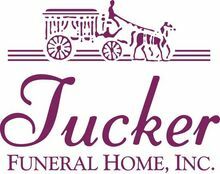 Tucker Funeral Home is in charge of the arrangements. My condolences to the Bender family. May the God of all comfort strengthen you during this difficult time. My sincerest condolences to the Bender Family. May the God of all comfort (Psalms 83:18) help you during this difficult time. Mr. Bender always made our class smile. He exuded positive energy daily in the classroom and I am passing this on in my own classroom today. He always told me I would be successful and I believed him. I am so thankful for Mr. Bender! may god be near and comfort in this time . Myra, Larry and I are so sorry for your loss. Larry was such a fine man. You and your family will be in our thoughts and prayers. Mr Bender was truly a great teacher. I had the privilege of being a student of Mr. Bender and he was a special friend to the Bremen Graduating Class of 1972 which he taught and I was a part of. We wanted you to know of our love and prayers and that we are sorry for your loss. God bless you as you continue with the special memories you have of him and what he meant to so many. Sorry for the loss of such a great man. They say that the teachers that were hardest on you are the ones that you remember forever. I will never forget him. He was firm but fair. I took almost every class that he taught at Bremen and he introduced me to my first computer. He was a awesome teacher whose memory will live on through those he touched. RIP Mr. Bender!